We had an interesting encounter with I believe the male resident coyote, Silver, at the ball field at approximately 6 AM this morning. We entered the park from Safeway, and as we started the circle path, Molly was alerted to the coyote on the far side of the field by the apartment building bordering the field. Molly took a few steps forward and the coyote immediately trotted toward us across the field. Molly, who usually barks at the coyotes, gave me a submissive whine like, “lets get out of here”. We turned around and started back and the coyote, then in the middle of the field, veered away from us and went back into the wilder, overgrown area of the park, away from the apartments. Note: Yes! Good work! If you walk away from a coyote, showing it that you are not interested in it, more than likely the coyote no longer will feel a need to protect itself, or to *message* your dog to leave it alone. So, when walking your dog, always shorten your leash, turn around, and walk away from the coyote the minute you see one. 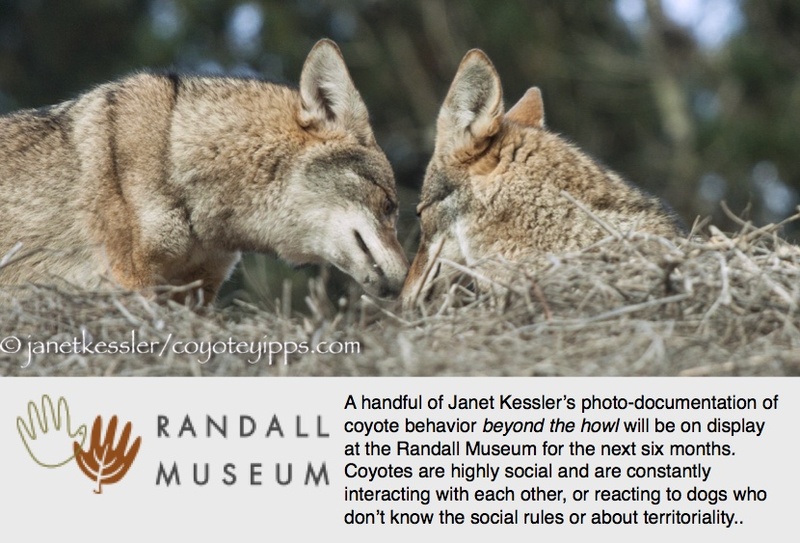 Show disinterest by not allowing your dog to interact, examine or bark at the coyote if you can. Previous Havin’ A Ball! Next Brush Rabbits in San Francisco?